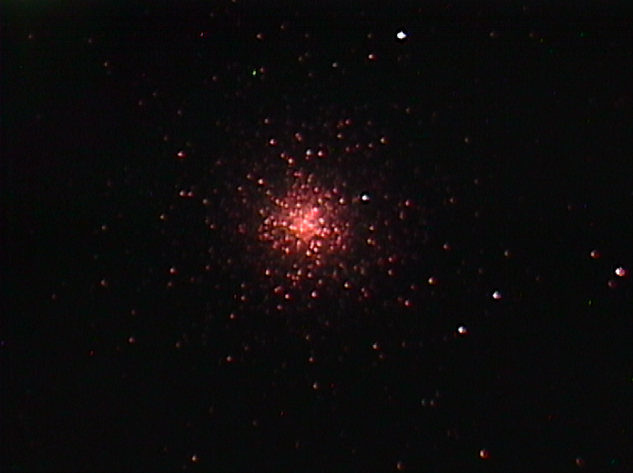 Mike Lancaster took this image of globular cluster M2 on the 11th October 2014. It comprises a stack of 5 frames each of 90 seconds exposure taken with a Mallincam Xtreme X2 at AGC2 through a 10-inch Meade LX200 ACF on an NEQ6 Pro mount using an MFR-5 focal reducer. Setup was guided using a Lodestar guide camera on a piggy-backed 80mm APO. Image capture was using Miloslick Mallincam Control, stacking and processing in Nebulosity with further processing in Photoshop Elements.